Wanstead Area Guide - What makes Wanstead so great? Where do Wanstead locals go? Great locally produced food. Look out for TTaste street food serving freshly made gyoza (Chinese dumplings) served with TTaste homemade chilli oil. Great cosy atmosphere, superb coffee and cocktails, second hand books and records! My absolute fave hang out is this uber cool independent bookshop, café and bar run by a lovely Danish pair in Bushwood, Leytonstone. They hold great Scratch Nights for up and coming artists. Real unique personality to it - comedy, magic, music gigs and book launches. Fab cocktails and coffee too. In the daytime, it's the perfect place to buy or just chill with a book. Amazing Sunday Roasts. Cool pub based on Alfred Hitchcock - Leytonstone's most famous son. Set right in heart of Bushwood Area. Great crowd. Funky vibe, Shoreditch-y look with in house tuk tuk. Serves excellent soft shell crab and the noodles are fabulous. Best place for a lazy brunch. Proper platefuls and superb salads and Sunday roasts. Amazing cakes and pastries, lovely atmosphere. Best place to catch up with other Mums. Awesome pub with a beer garden, a great vibe, great people and a DJ on Friday and Saturday nights. 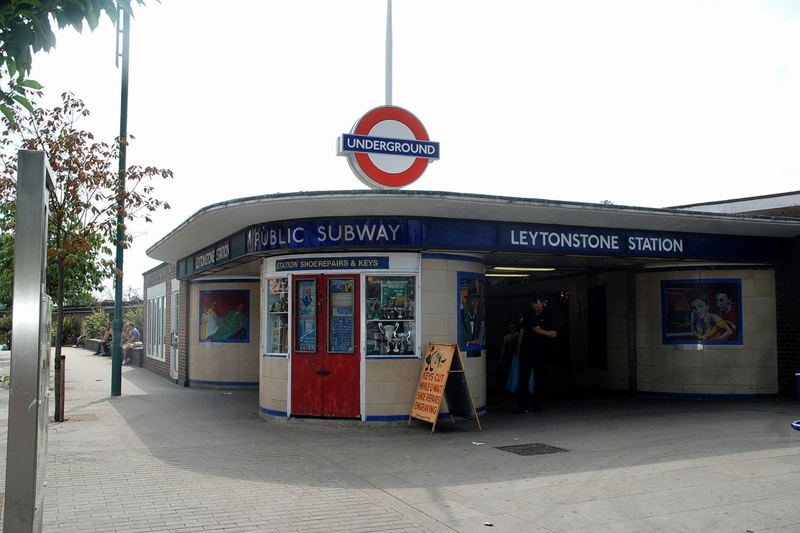 It's also very close to Leytonstone Underground Station. This music venue hosts live music nights on two levels. Love the summer with the doors open, view of the church and gorgeous live jazz. Also they do rock and blues, and open mic nights. But for me, to have a cracking jazz venue minutes from my front door is the best. Excellent Mediterranean Restaurant right near Leytonstone tube station in Bushwood Area. Atmos and cuisine every bit as fine as Upper Street at much better prices. Top haunt. Love the coconut-infused southern Indian flavours. Friendliest service and the mixed grills and Dosas are to die for. Share your favourite place to go to in Wanstead. "The first motor car built in Britain was by Frederick Bremer at his house in Walthmstow in 1892. The car currently sits in the Vestry House museum." I love E11 for it's green open spaces, diversity and sense of community. Wanstead has a great village feel, with lots of independent shops, cafes and local events. There's a great community feel and a lot of green space considering it's in London! What do you think of Wanstead? Wanstead is a suburban area in the London Borough of Redbridge, North-East London. The main road going through Wanstead is the A12. The name is from the Anglo-Saxon words wænn and stede, meaning "settlement on a small hill". Wanstead has a largely suburban feel, containing open grasslands such as Wanstead Flats, and the woodland of Wanstead Park (part of Epping Forest). The park, with artificial lakes, was originally part of the estate of a large stately home Wanstead House, one of the finest Palladian mansions in Britain, from its size and splendour nicknamed the English Versailles, and the architectural inspiration for Mansion House, London. It was demolished after the bankruptcy of the owner, William Wellesley-Long, in 1824. It is also home to Wanstead Golf club, which has hosted many of the major events in the Essex County calendar. A notable landmark towards the northern edge of Wanstead is the former Wanstead Hospital building, now a housing complex. Wanstead High Street is distinctive because of its many independent retailers, attracting shoppers from a wide area. What are your favourite things about Wanstead? Find out how much your flat or house is worth om Wanstead. Feedback about living in Wanstead has been submitted directly by the public and may not neccessarily reflect the views of Foxtons. The description of Wanstead was modified from Wikipedia and is available under the Creative Commons licence. Land Registry data is Crown copyright. All the views and contributions contained within Foxtons Local Life are those of the contributors. All content is assessed before publishing for taste, however free opinion is encouraged. Foxtons accept no payment or sponsorship for content that is posted about Wanstead.